2014 Rising Star Award Winners Announced! 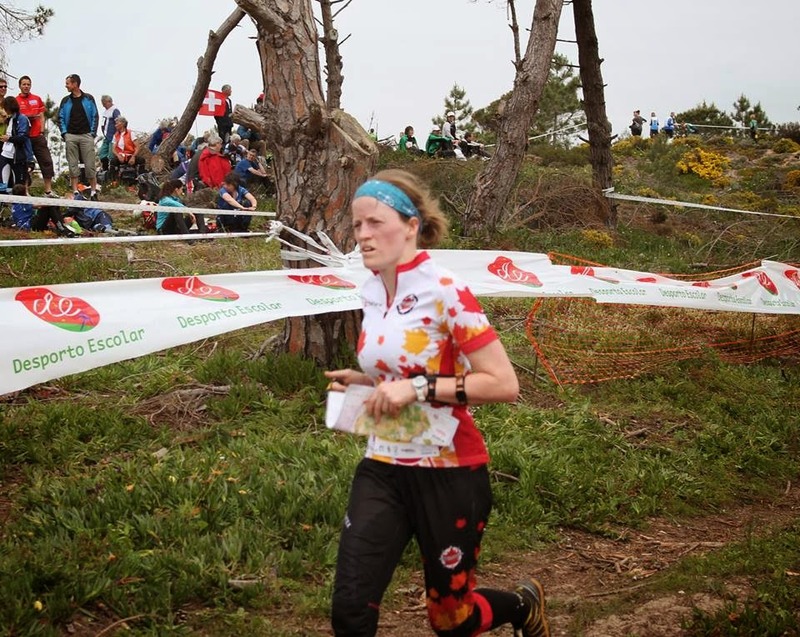 Orienteering Canada is delighted to announce that Pia Blake and Damian Konotopetz are the recipients of the 2014 Orienteering Canada Rising Star Award. Pia and Damian were chosen from a strong group of athletes, nominated by the community and self-nominations, by a selection committee. Both Pia and Damian will receive a cash prize of $1500 each, which will contribute to their travel and competition costs. Pia Blake is a junior athlete from Whitehorse, YT who has been orienteering since she was 7 years old. 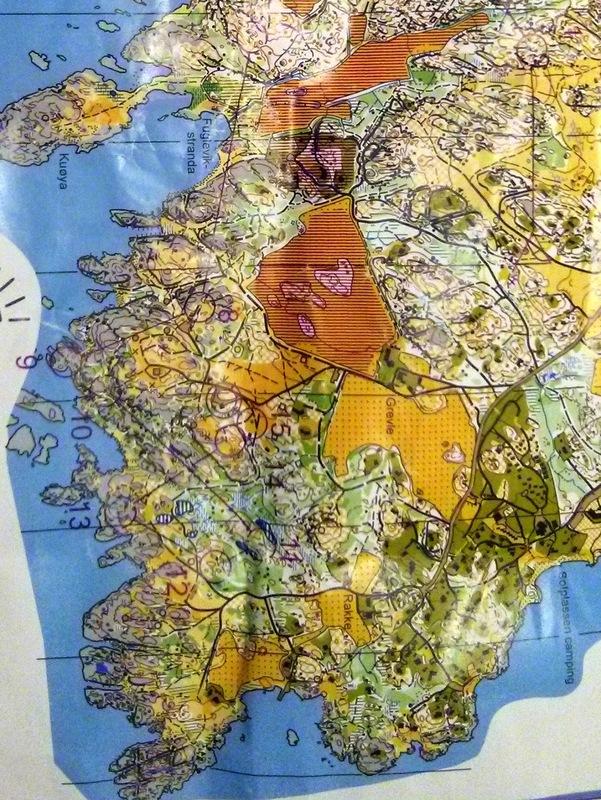 Pia moved from Whitehorse to Trondheim, Norway, and then to Llantwit Major, Wales to complete her schooling and improve on her orienteering. 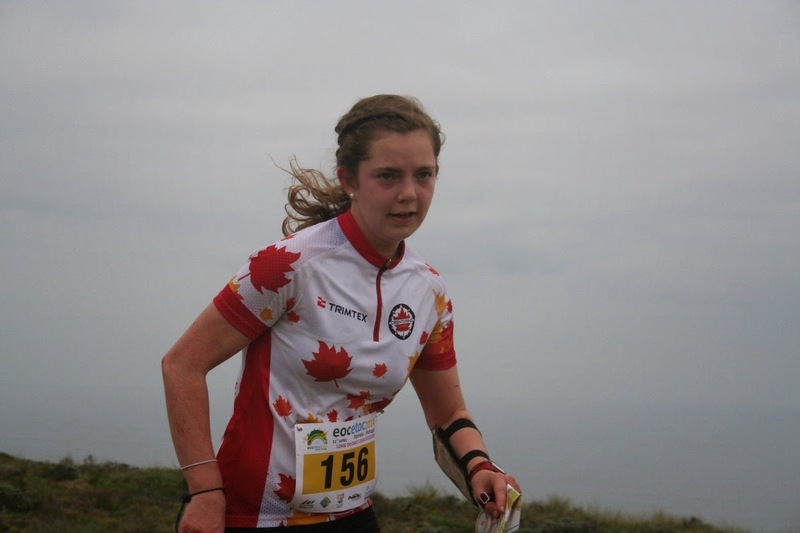 This will be Pia’s second year representing Canada at the Junior World Orienteering Championships. You can learn more about Pia on her Athlete Profile. 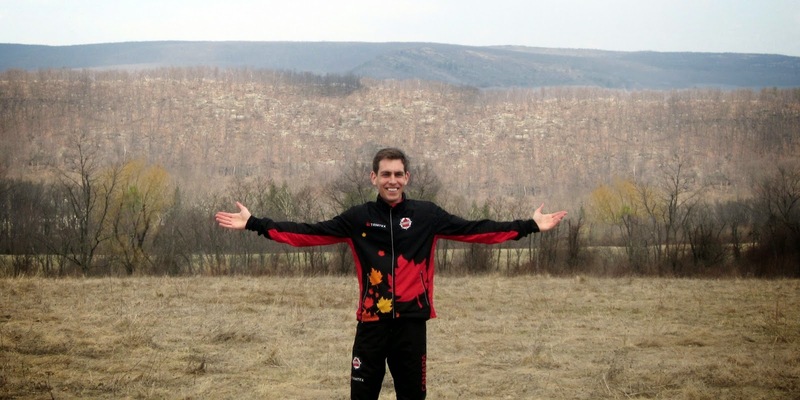 Damian Konotopetz has been competing in orienteering ever since he won races at the Asia Pacific Orienteering Championships in 2002. Damian has represented Canada 6 times since 2009 at the world junior, senior, and university championships. 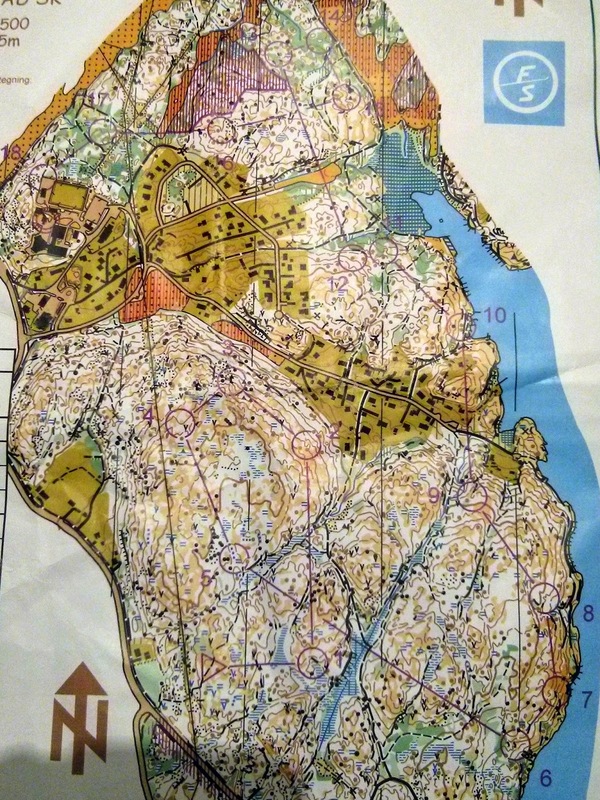 He is trying out for the 2014 World Orienteering Championships in Italy in July. You can find out more about Damian on his Athlete Profile. The Rising Star award is presented by Orienteering Canada’s High Performance Committee (HPC) on an annual basis. 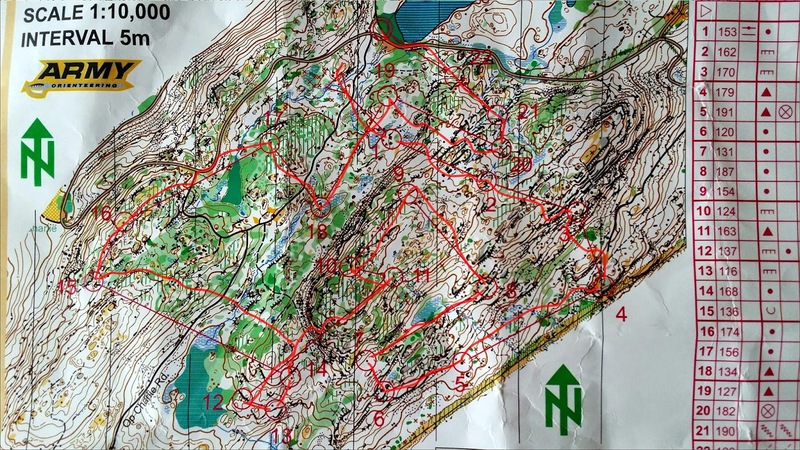 It is typically awarded one female and one male member of Orienteering Canada’s High Performance Program (HPP). The goal of the award is to recognize up and coming orienteering athletes, and assist them with the high training and competition costs associated with high performance sport participation. The High Performance Committee would like to thank the selection committee for their time, energy, and efforts. The selection committee this year consisted of Hans Fransson, Wil Smith, and Meghan Rance. Last weekend I made the trip down to New York along with the usual Ottawa suspects. The time had come for the annual spring shakeup, West Point. My mission: To defend my title from last year. This round we were to race back to back classics, best combined time takes the cake. My maiden voyage into the forest this year, I knew the challenge was going to be finding the flow as quickly as possible. It was critical I stay vigilant and keep in control at all times. I was looking forward to testing my new legs on what was sure to be a hilly experience. I wasn't disappointed. However I was careful to concentrate on my Orienteering staying relaxed and confident. I only ever pushed as hard as I was comfortable and stopped as soon as I felt slightly uncertain. 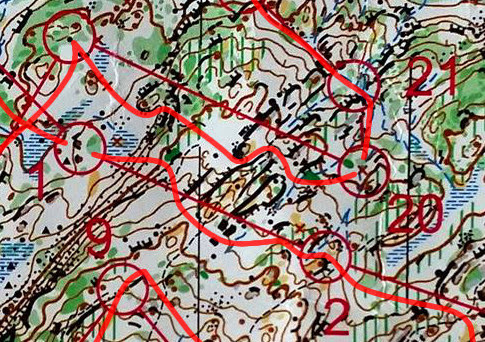 On Saturday I accumulated some 5 minutes of hesitations, squiggled route choices and one or two mistakes. Crucially all were quickly minimized. Because of this I still managed a pretty good time finishing one minute behind leader Jonas Kjäll. A visiting Swede in the region, he carries some notoriety from his involvement in the Björn Kjellström scandal back in 2010. Comparing splits after the race it was clear we were both running at a similar speed. I had lost because of my two expensive mistakes. 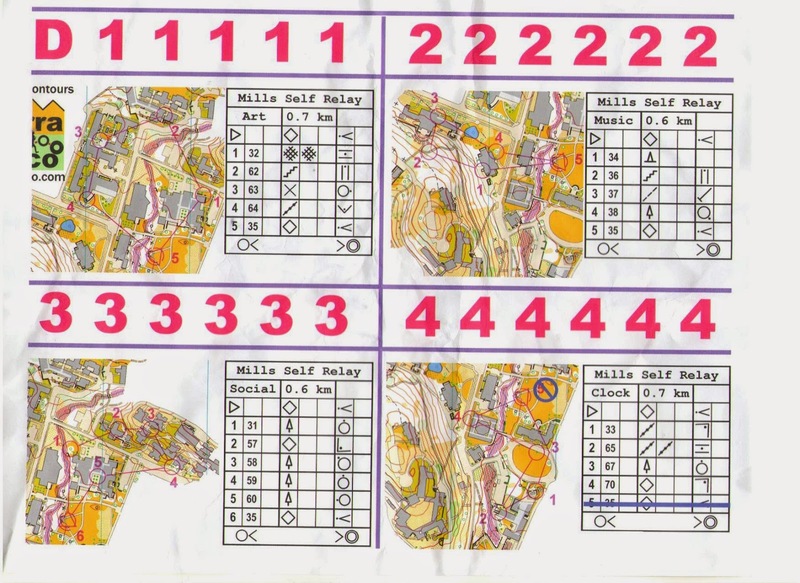 As usual for orienteering, the weekends victor would be the one who had the cleanest race the next day. 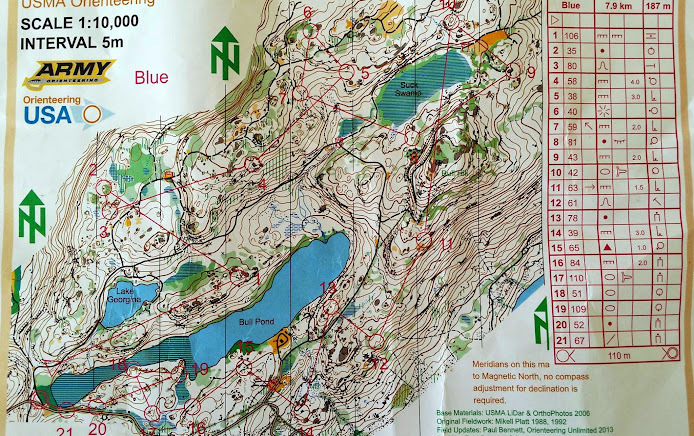 Unlike day one, Sunday's map had been modernized and promised to be everything I love about Orienteering. 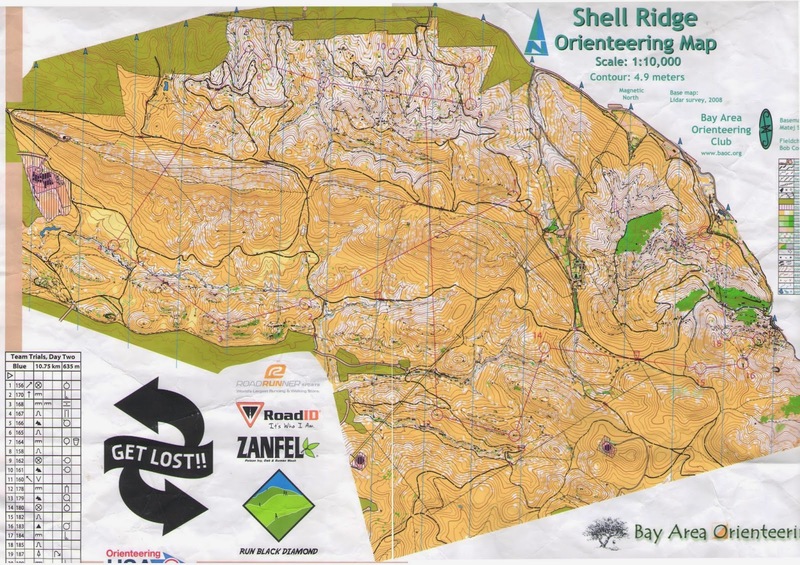 I was anticipating a much more technical race and my Orienteering style would have to account for the middlesque challenges we were going to face. I carefully prepared myself the morning of. At the start I felt calm and ready. I flipped over the map and immediately felt a smile floating up from inside. The Cadets hadn't wasted any time before sending us straight into the hardest, steepest, most detailed section of the map. That being said, they had done an excellent job working with the terrain and picking out fair and appropriate control locations. The route choice was subtle, legs crossing over cliffs and cutting through the fast open forest. It was a rush, flowing from one control to the next. I wound my way through the rocks keeping a smooth steady pace, my confidence growing as I left flag after flag behind me. Reaching the last third of the course I was on my way to the final turnaround. Feeling in the zone, I drew from the frigid January tempo runs and the icy interval sessions. It was in this final stretch that I took back the one minute Jonas had from Saturday's race and an additional minute for the win. As it turned out he hadn't made any major mistakes either. A valiant battle Jonas! Saying goodbye to them beautiful hills. It was a great race and an overall super enjoyable event. I couldn't have asked for a better season opener. If the experience from this weekend is telling me anything, it's that 2014 is going to be a very fun year. As the first race this season for me, this map provided an extremely good wake up call. From the beginning I started my race by having troubles finding the start triangle (in the middle of the map) and then I began running in the wrong direction by roughly 50 degrees right before I caught myself and reoriented. 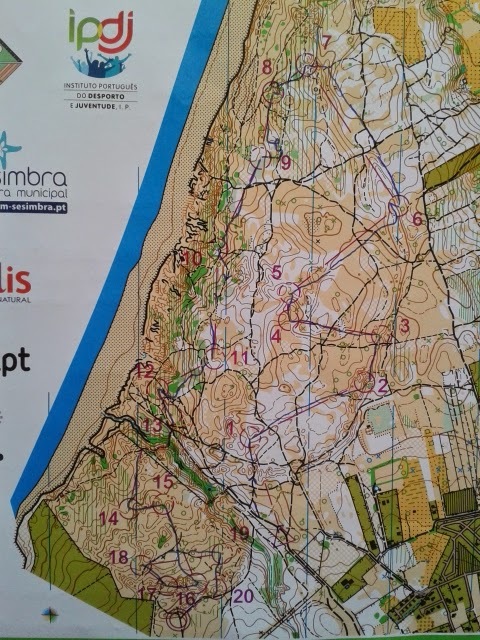 The first think I found confusing about this map was that it is relatively a narrow corridor from which I had some minor troubles discerning hills from re-entrants. The hardest part was the west side of the map which was an extremely steep side-hill covered in green. Here, I received a lesson of botany and gained hands on experience with poisonous ivy. Now, I know what Zanfel is for. I had a sketchy run and made so many mistakes I was surprised that I ended up in such a close margin with the 5 runners ahead of me whose difference in time was less then a minute. In conclusion the middle turned out to be one of my worst races, but I learned a lot from the mistakes I made. The long was blissfully open. The big hills stayed but at least there was no more green. The course was made up of some tricky route choices and from lack of experience in certain places like the left side of the hill right before the third control, I lost time. Otherwise, from controls 5-11 the terrain changed significantly into a sort of side hill of spurs mostly covered by forest which had small clearings and some rocks. I had a pretty good race with few mistakes and placed 9th overall, and 3rd among juniors, behind Ethan Childs and Matej Sebo. For the sprint I was not able to physically get into it and therefore never reached my race pace. I don't believe that I made many errors, I may have made one costly one (10sec) but otherwise read the map decently. It wasn't until after the race when I realized how many controls there were, and wasn't exactly surprised when I missed one. It was in a relatively straight line between 12 and 13. It was an awesome course though and I had lots of fun. The relay was lots of fun and I almost wish that I could have run also with the Americans. They mass started everyone else after the Americans started and my field was still good as there was the Finn, Eero Tuomaala who I was competing against. 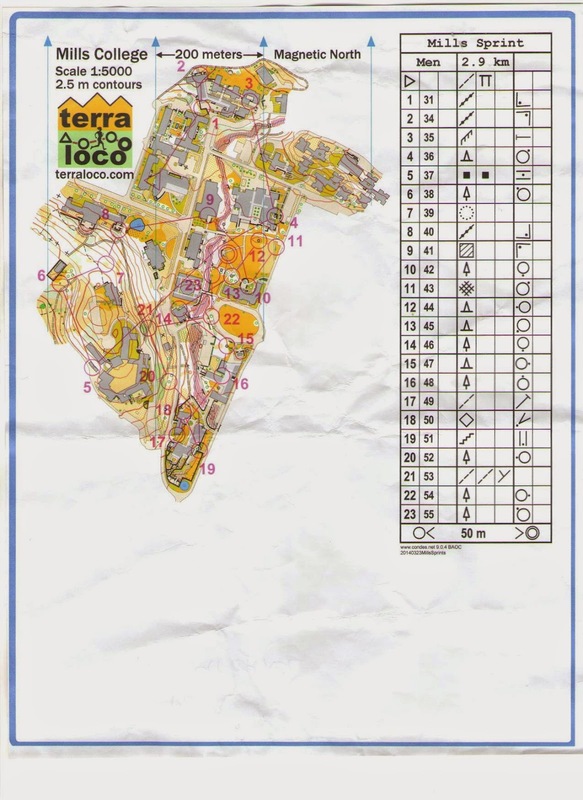 We started off and throughout the 4 courses I gradually lost seconds here and there due to minor route choice errors. For the last lap I really pushed my pace and passed a couple people. As I crossed the bridge and was sprinting to the finish I thought I was going to do good as it looked like only Will Critchley had finished, but six seconds before I was there Eero appear around the corner from the other side and finished before me. So the relay wasn't so bad for me, and I finished the trials with a feeling of accomplishment. 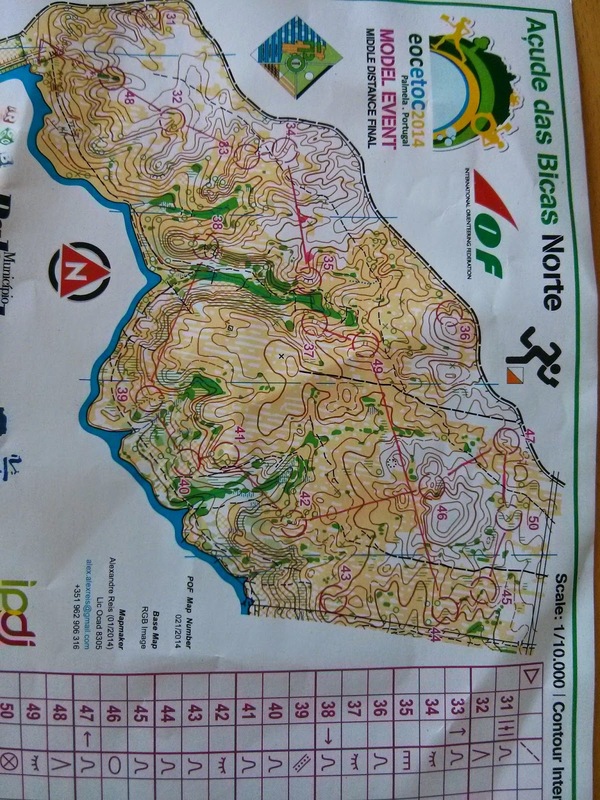 The sprint final is going on right now in Palmela, and you can see live results / tracking online. Emily focused her racing on the middle and long, and made both finals - so it appears to have been a good choice! I raced the sprint quali yesterday, but was just outside the final (as I often am in the sprint - just not fast enough). By some fluke. despite one of the worst races I have had in competition in awhile, I made the long final (top 17 in each heat make it at EOC). My legs are pretty tired after these days of racing, and after falling into so many prickles while attempting to thrash through green in the long quali I feel like my body has been beaten with a prickly stick. Also, after many protests from different countries and discussion amongst organizers, coaches, and a jury everyone will also be running the middle final (which I had also just missed out on). Say something - "say something I'm giving up on you"
All of me - "all of me loves all of you"
Yesterday Louise and I braved the mighty Portuguese jungle on a mission to complete the long qualification and qualify for the (hopefully less prickly) long final on Tuesday. We both came out of the forest with many more scratches than before but with races that got us both into the final... success!!! After the race Louise said that she had lost too much time fighting through the green trying to take straighter routes rather than sticking to the trails and running around. A machete was a definite must for those courageous enough to try to cut through the dark green. She persevered though and earned herself a spot in the final! My goal was to run an aggressive race while being careful attacking the controls in the green. Thankfully I also managed to avoid that panicky situation when you're suspended 1 meter in the air by brambles and you're starting to question yourself whether you'll ever make it out of these bushes alive! I had two small errors due to leaving the trail at either the wrong place or at the wrong angle which is frustrating but something I will try to fix for the finals. Other than that, physically it was a tough race, but I really enjoyed the challenge of finding the best route choices in a terrain with no forgiveness. 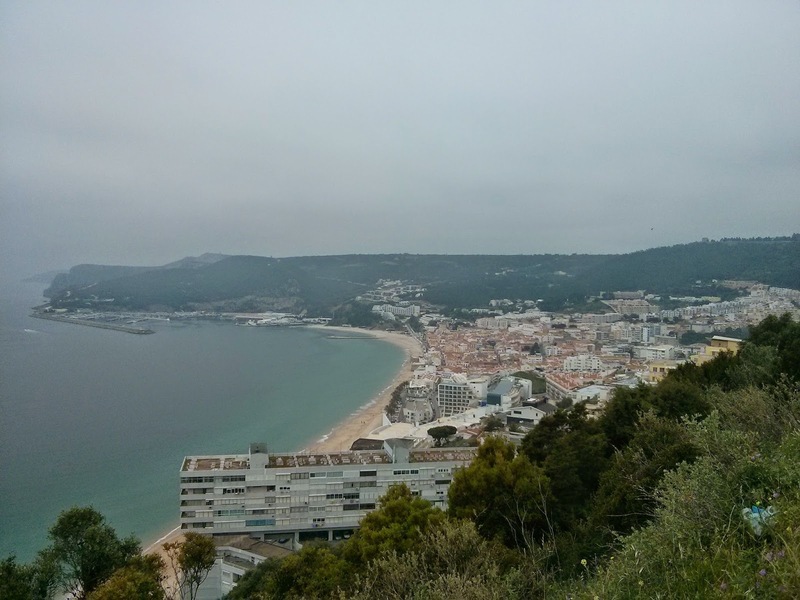 We also drove down to beautiful city of Sesimbra to check out the sprint model event and help the legs recover in the ocean. I didn't fancy going in but the Spanish team and Louise seemed to be quite comfortable! 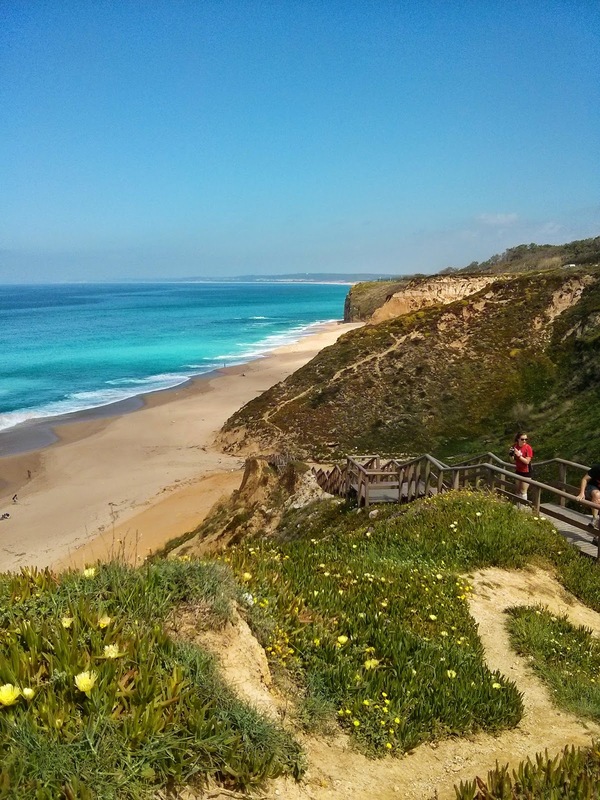 A big sunny hello from Louise and Emily in Portugal!! The very controversial middle qualification went down today and even though we can't really comment on the results (due to some organisational problems) we can at least share some of our personal thoughts! The terrain varied between super open forest/fields (with subtle contours) to very tricky sand dunes with bushes. This meant that we were able to run as fast as our legs could go in some parts and then waist high in bushes in others. 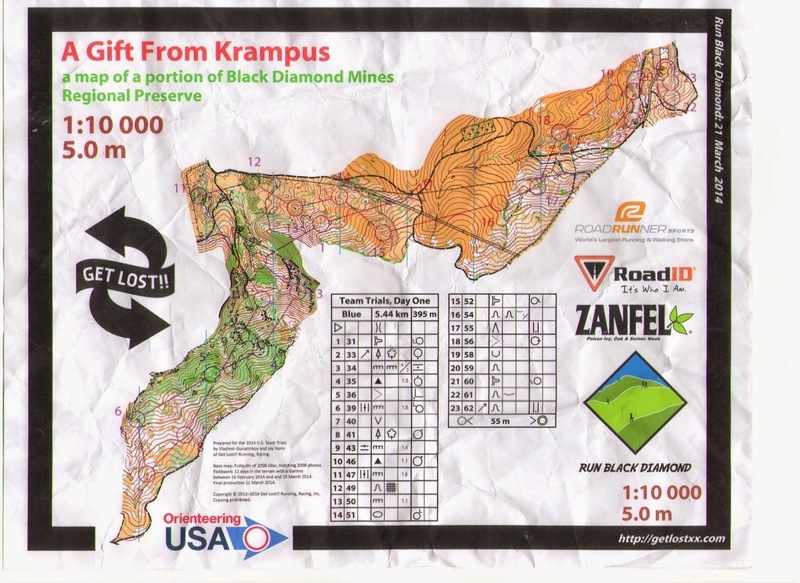 I am quite content with my race and was able to stay in control of my orienteering for almost the entire thing. I just found it difficult switching between 100 % visibility to almost no visibility once we got into the sand dunes. Tomorrow's goal is to be able to switch between these two types of terrain as soon as I see that things could get tricky! Checking out the view after the race!